We present the main modelling steps of the MASB method, an analysis and design method for the development of multi-agent systems viewed as systems composed of software agents playing various roles in predetermined scenarios. We show how agents can play several roles at once and how roles and scenarios can be used to partition agents' knowledge bases. We describe specific roles such as a scenario manager, an object server and a conversation interpreter which are implemented in SMAUL, an environment which is used to generate the main modules of scenario-based multi-agent systems. 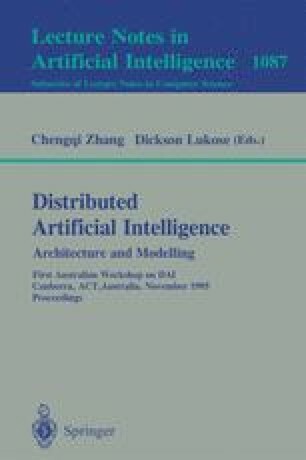 We present several modelling techniques that can be used in collaboration with users to describe scenarios, agents' roles and their main knowledge structures during the analysis phase. During the design phase these models are transformed by designers into formal specifications as inputs to SMAUL.